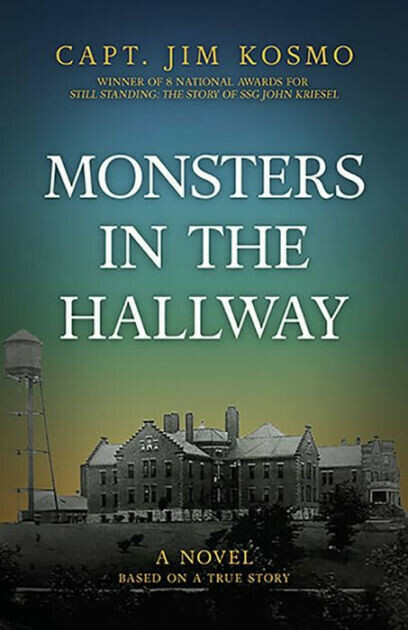 Join local author Captain Jim Kosmo for discussion of his award-winning book “Monsters in the Hallway.” "Life was nearly perfect for Jason Korsen—until voices told his father to kill the family. They escaped, but Jason’s father went to the insane asylum. Ten years later, Jason’s friend Roy is molested and murdered after their Boy Scout meeting. A choir girl disappears from the same church, and Jason’s dad, who escaped from the asylum that night, is the obvious suspect." Jim Kosmo is a national award-winning journalist and author, a U.S. Coast Guard-licensed Mississippi riverboat pilot, and former partner of Padelford Riverboat Company in St. Paul, Minnesota. Books will be available for purchase.